True. But if the primary market is really training, it can't be any flavor of experimental - has to be either SLSA or certified. Y'know, I get the feeling they came up with "training" as a primary market after they figured out it was too heavy for much else. This is one of the fundamental philosophies in the triumph of marketing over engineering: "If you can't fix the flaw, sell it as a feature!" The way this is going to end up is that either the product will flop or people will simply keep flying over-gross - the hell with Light Sport regulations. It looks like the only way to introduce a reasonably cheap new trainer plane ( without spending tens of millions of $$ on certifications for an unproven product ) is to go Light Sport and then try to make do with relevant limitations. I also question the "back country flying" aspect of the marketing. It really needs a tailwheel for that. Warmi wrote: The way this is going to end up is that either the product will flop or people will simply keep flying over-gross - the hell with Light Sport regulations. 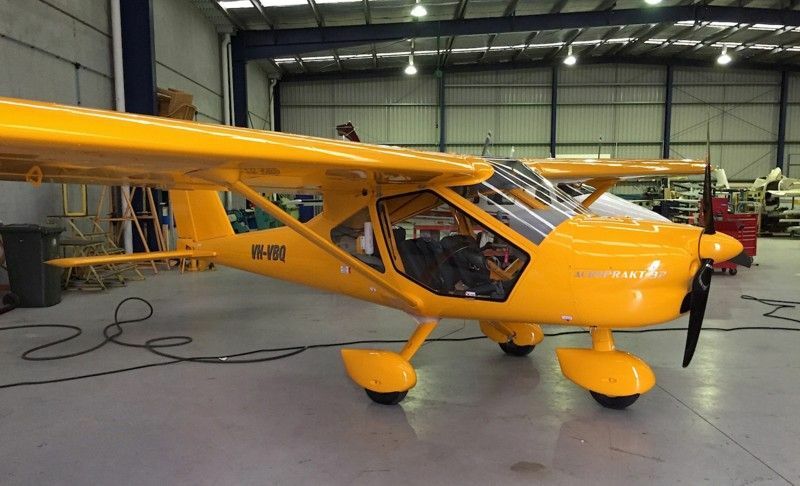 My guess (and that's all it is) would be that people are more willing to fly over LSA limits with planes that are certified and flown at higher weights in other countries, such as the Jabiru. I hope that people are more reluctant to do that with planes that aren't proven above LSA limits. I'm afraid that this will be another flop unless they get the weight down. MrMorden wrote: I also question the "back country flying" aspect of the marketing. It really needs a tailwheel for that. They simply can't get the weight down - unless they switch to Rotax , something they don't want to do because a lot of schools would be more comfortable retiring their 150s if their replacements were at least running engines their mechanics are familiar with. They either have to get engine weight down or airframe weight down, preferably both. The only way to reduce airframe weight and retain strength is to go to a different material. Cabon fiber/kevlar is really the only option, without shrinking the size. Don't get me wrong, I'm not a composite fanboy, I actually prefer metal airplanes. But It's shocking how light and strong carbon airframes are; it's the primary reason the early CT line and lately Pipestrel can flirt with and sometimes exceed 600lb useful loads where most other LSA are hovering around 500-550lb useful. This plane is likely to fail for the same reasons the Skycatcher did. I'd really like to understand why they think it will fare differently. Price alone won't do it. If the plane can't do the mission, it doesn't matter if it only costs $99k, or $50k for that matter. That’s where I think the Aeroprakt A22LS would fit nicely. It has most of the desired training characteristics, simple, tough, and relatively easy to fly with amazing useful load. To me it’s the real Cessna 150 reimagined and would be a nice fit for flight schools here. jetcat3 wrote: That’s where I think the Aeroprakt A22LS would fit nicely. It has most of the desired training characteristics, simple, tough, and relatively easy to fly with amazing useful load. To me it’s the real Cessna 150 reimagined and would be a nice fit for flight schools here. I was thinking the same thing, until I saw this just now! From Dennis Long off the Aeroprakt North America group. I wish I could post the photos but the files are too large. Here's an A32 in Australia.